We want to accomplish as many things as possible, so getting involved in different projects seems inevitable. Whether there are personal projects, professional, for the community or with the family, our time becomes LIMITED, and usually we lose track of the general image. Running for long distances, means that first of all you need time for training. 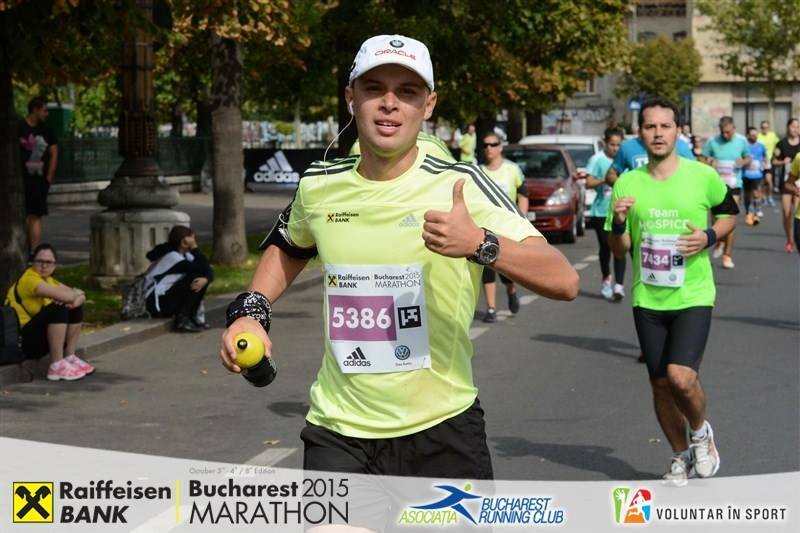 For me, the training for my first half-marathon at the Bucharest Marathon 2015 lasted 7 weeks (starting for a regular 4-5 km each week). Here are 5 lessons that I learned about planning of a project and productivity, while training & finishing my first half-marathon. Involvement into a new personal project, professional, for family or into de community means that you must have a serious reason (it might be intrinsic motivation, a financial reason or a specific cause). In his book „Total Leadership” – Stew Friedman – professor at Wharton School, says that aligning the activities of a person should consider the 4 dimensions: personal projects, family projects, professional ones and those projects for the community. Linking a project for more than 2 dimensions brings more chances of success. My half-marathon training meant a personal dimension and one related to the community (supporting MagiCAMP, a camp for children with oncological diseases). So, before getting involved in a new project, ask yourself: how would the new project align with your general goals and which is the main reason why you really want this? If you think that a new project will not influence your current activities … think again. Any new project will involve not only the physical working time but also the use of a limited resource: your will. Moreover, it is possible that when you start a new project, you will become excited and devote to much time, neglecting your current responsibilities. Think carefully, do you have enough time for the new project? A project must have a result, so set from beginning which will be the final result (what you want to achieve from the project, if it does not have a formal structure for completion). Then visualize yourself fulfilling it: What will be the added value of the new completed project? What’s the next step? How to design a good plan? First, research: read, ask others who have already worked on a similar project or goal, ask for advice and then adapt them to your situation. As mentioned in step 2, the excitement of a new project could make you work too much and neglect other activities. Set limits from the beginning: the number of sessions for working on the project, the days, and even if in one day you could work more, stop! (otherwise you’ll have to delay other projects). For planning projects and activities I recommend Trello. After you determined the reason, the project’s impact on your activity, the desired outcome and you created a plan, there is only one more thing to do: to ACT. Follow you daily, weekly plan and remind yourself about your main reason and visualize the outcome. This will help in difficult moments. Transform your actions into habits. For setting up new habits I recommend you Coach.Me.